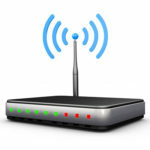 Is your wireless router performing reliably? Various factors, such as placement or interference, can hurt a router’s performance. Plus, weak security settings could allow hackers to sneak in with serious consequences. 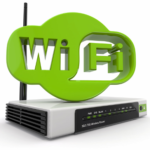 Use these tips to optimize and secure your wireless router. 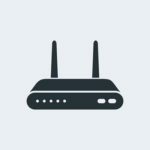 Is Your Wireless Router Set Up Right? Most wireless routers are managed through a Web browser. In your router’s documentation, find the IP address and the temporary username and password. If you can’t find them, no big deal. The IP address is commonly 192.168.0.1 or 192.168.1.1. Default credentials like “admin” and “password” are also common. Obviously, you’ll want to change these. Now that you’re in the management console, you can fine-tune your router’s configuration. If you think you’re getting interference from other wireless devices, baby monitors, or microwaves in the home, try different channels. Go ahead and change the default password for administering your router and the username in the management console. Store them in a safe place for future reference. Next, make sure you are using the strongest encryption possible which is WPA2, or WPA2-PSK AES if you have that option. Create a strong password with between 8 and 63 alphanumeric characters, including symbols like $#. The longer and more random, the better. Try using the first letters from a favorite passage. For example, “Old MacDonald Had a Farm And On That Farm He Had a Pig” could form the following password: OMh@F&0tfHhAP1g. After that, either rename your wireless network or consider just turning off its SSID broadcast feature. Renaming is helpful if you have numerous networks nearby and want to be able to quickly identify yours. Turning off the broadcast hides your network from wireless devices, making it less likely that random people will try to break into your network. You’ll need to manually enter the network name in order to connect. 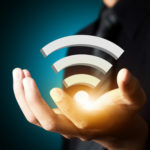 You may also want to turn off Wi-Fi Protected Setup (WPS), which allows for one-button network connections and if physical data attacks are possible. If you would like your guests to be able to log into your Wi-Fi, set up a guest network with limited rights and its own password. That way, your guests can access your Wi-Fi but not your hard drives. While you’re in your router’s management console, check for and apply any firmware updates. Manufacturers issue frequent updates to improve performance and patch vulnerabilities. The process varies depending on the manufacturer, so if updates aren’t coming in automatically, check the manufacturer’s website or help files for details. Now that security is out of the way, let’s optimize for performance. Your wireless router’s location affects both speed and range. For example, is your router close to your main computer or is it tucked away in a closet upstairs on the other side of the building? Think about which wireless devices are most crucial and place the router closest to them if possible. For example, if you work at home, it’s probably better to have the router near your computer rather than next to the gaming console in the other room. You’ll also want to position the wireless router away from sources of interference such as microwave ovens, office machines, elevators, and cell phones, or from items that may block the signal such as large water sources, large metal items, and reinforced concrete walls. If your router is relatively close to a computer, try an Ethernet cable instead of the wireless signal. 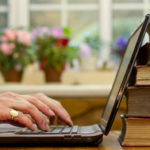 That particular computer will benefit from the improved speed of a direct connection. Getting familiar with the router’s management console will help you up its performance and security. Learning to tweak settings doesn’t take long and helps your machines run better. Too busy to DIY? Call Quikteks Tech Support at (973) 882-4644. We’ll take care of it.